A fully electric version of the Nissan NV200 minivan, recently selected to be New York City’s new yellow cab from 2013, could be in use from 2017. Before rolling out electric taxis, Nissan must prove them able to cope with the high-mileage demands of existing NYC taxis, which can cover up to 100,000 miles each year. There are also concerns over the effect that harsh New York winters will have on electric vehicle range. To prove the value of electric cars for this market, six Nissan LEAFs will be hitting the streets of the Big Apple as part of a pilot scheme. 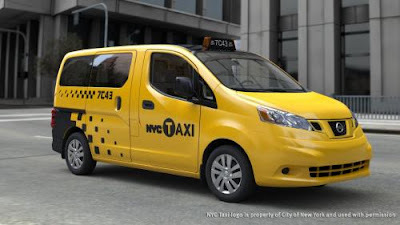 But Nissan must be feeling very confident about the speed of battery development to even consider this project as many of NYC’s iconic yellow cabs run 24 hours (and cover 250-plus miles) a day with shift drivers swapping over – how many fast charges will batteries be able to handle?